(Farsi or Dari),Urdu or Punjabi. and a living stipend from the National Security Education Program. covering tuition and a living stipend from the National Security Education Program. The EHLS Scholarship Program seeks to enable naturalized citizens to develop their English skills for professional careers in the federal government. National Security Education Program, the Center for Applied Linguistics, and Georgetown University. Funding for program development and scholarships is provided by the National Security Education Program. In 2004, federal law pertaining to the NSEP was amended to provide scholarships for native speakers of languages critical to national security. Scholarship recipients attend special programs at universities to raise their English proficiency from advanced level to professional level (ILR 3). The Center for Applied Linguistics manages the program which is hosted by Georgetown and the University of Washington at Seattle. The information on this website applies only to the Georgetown University program. More information about the EHLS Program can be found on the CAL website. The GU-EHLS Scholarship Program was launched in March 2006 with nine students. Their native languages were Arabic, Chinese, Korean, and Russian, and their professional backgrounds included accounting, broadcasting, international relations, translation and interpretation, agricultural planning, engineering, and physics. All had advanced degrees, many with more than one professional diploma. The inaugural class graduated on August 25, 2006. The American Association of Physicists in Medicine is pleased to announce the availability of a Fellowship for the training of a doctoral candidate in the field of Medical Physics. 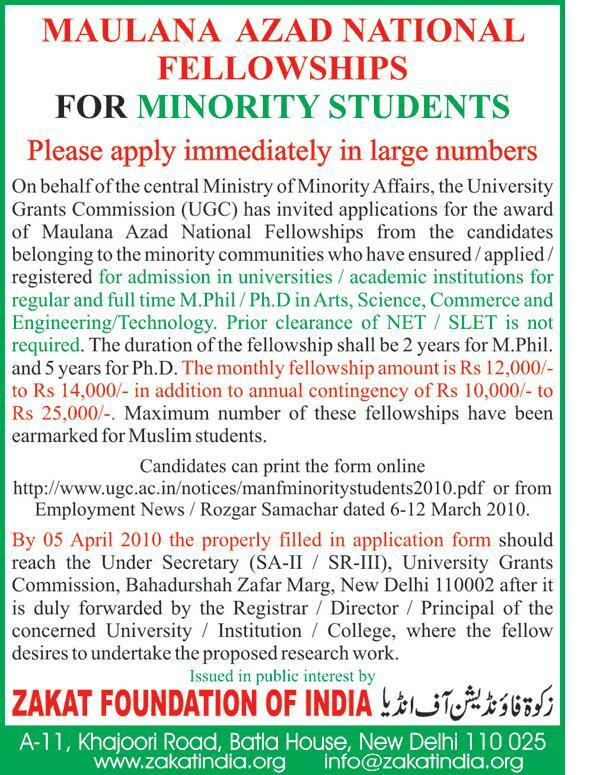 Fellowship for Graduate Study in Medical Physics. All Donors and Philanthropists located anywhere in the world are encouraged to participate in the Scholarships scheme. The Scholarships will be named after the Donor's/Philanthropists names and will be awarded to students of their country/state/province based on merit and need. Your donations to IRFI are Tax-Deductible under section 501(c)(3) of the Internal Revenue Code.